When Nordic Noise Rock Festival open the doors the seventh year in row, the 2-day festival will be held in one of Copenhagen’s most prestigious music venues, Amager Bio. Dates are Friday the 10th and Saturday the 11th of May. Today ticket sales and the artist line-up so far for Nordic Noise 2019 are being announced. “it feels like coming home” says Nordic Noise main man Michael H. Andersen. “I am very excited about the line-up we have ready so far. And this is only the beginning. The new surroundings in Amager Bio is just a perfect match and the right home for Nordic Noise. We plan to record some of the shows during Nordic Noise for future live albums, so hopefully the audience will help us scream and shout their lungs out!”. Friday will be in the name of classic rock with the first show in Copenhagen by MIKE TRAMP & BAND OF BROTHERS in one and a half year. It will be a very special show with guest appearances and a set-list above the usual. 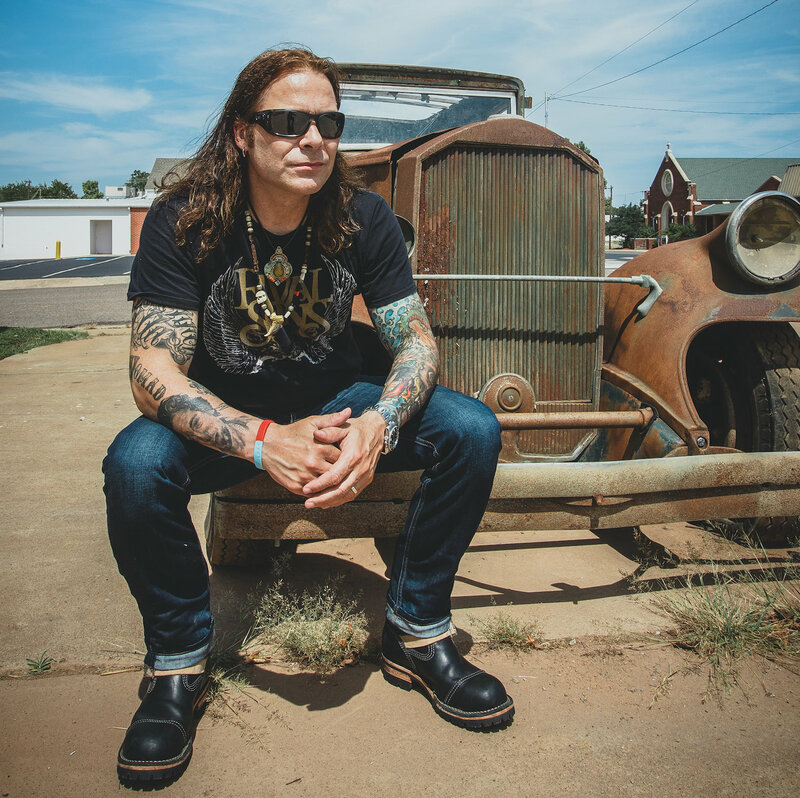 Mike Tramp is going on US and UK tour in early 2019 and will be releasing a new album on the 1st of March, so he will be in the shape of his life when he enters the stage at Nordic Noise. Further names include the legendary Swedish rock band ELECTRIC BOYS. A band that got on everybody’s lips with the hit ”All Lips’n’Hips” and have toured the world with Metallica and Alice Cooper among others. The band fronted by the charismatic frontman Conny Bloom is currently releasing their comeback album ”The Ghost Ward Diaries”. 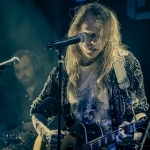 One of the most successful Danish rock bands in recent years is JUNKYARD DRIVE. 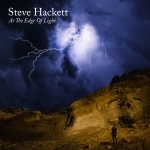 With two albums released in two years, intense touring, e.g. at Sweden Rock Festival, and a reputation as a killer live act, this young band will no doubt deliver. On Saturday we will travel back in time together with one of the most talked about rock bands of 2018. 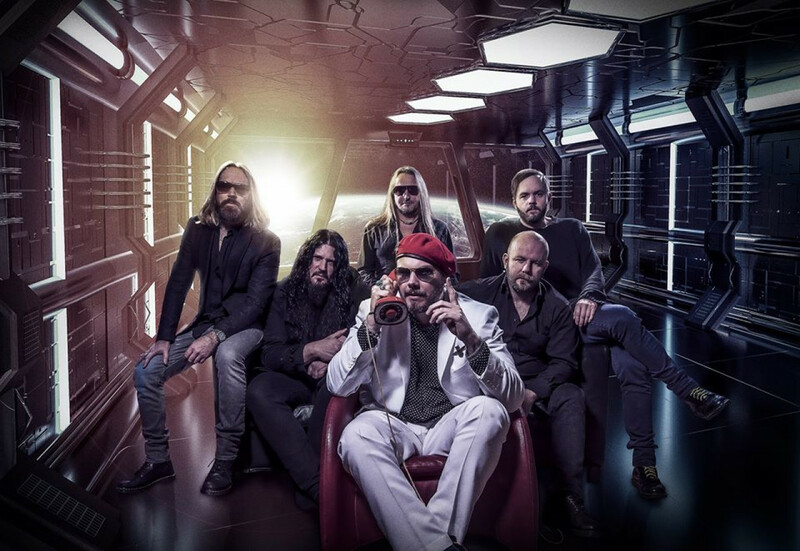 THE NIGHT FLIGHT ORCHESTRA from Sweden entered the charts high in both their home country, Germany and the UK with their latest album. Despite being a band with members from Soilwork og Arch Enemy, the style is melodic AOR oriented rock with obvious inspiration from bands like Survivor, Journey og Boston. The band is notorious for their larger than life scene show, which no doubt will hit the ceiling in Amager Bio. 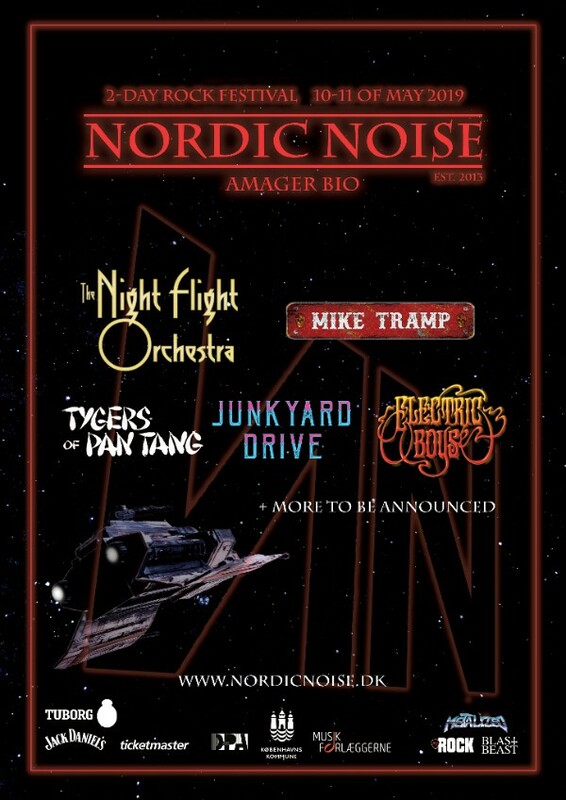 The same night the British NWOBHM veterans TYGERS OF PAN TANG are welcomed back to Nordic Noise. The band visited Denmark for the first time two years ago playing Nordic Noise and delivered the best show of the festival that year. When the band returns to Denmark, it will be along with a brand new album. We can’t wait to hear new songs from the Tygers along with immortal classics like ”Love Portion No.9” ”Hellbound”, og ”Only The Brave”. … more bands will be announced. 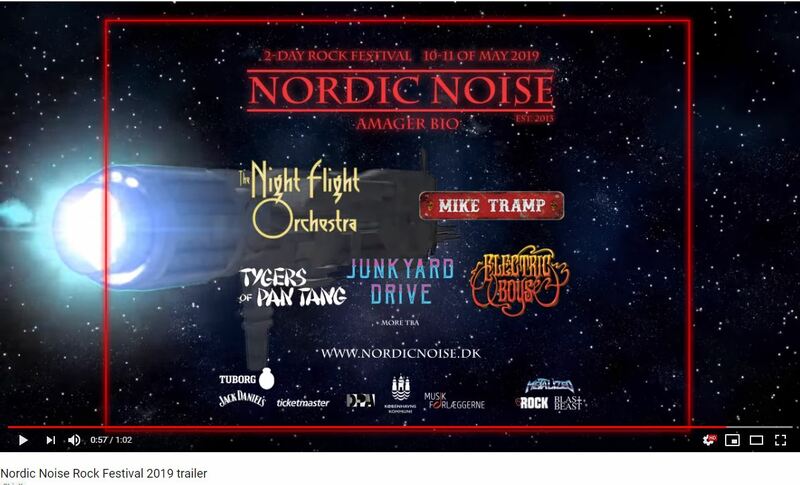 Nordic Noise was established in 2013 and is today considered one of the most important rock/metal festivals in Denmark. 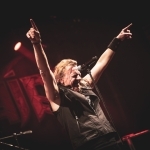 Over 5000 people have attended the festival and artists like Denner/Shermann (DK/US/SE), Tygers Of Pan Tang (UK), Mike Tramp (DK), Mustasch (SE), Dream Evil (SE), Fate (DK), Freak Kitchen (SE) Artillery (DK), Blitzkrieg (UK) Sea (DK), LUCER (DK), Bullet (SE), The Amorettes (SCO), Electric Guitars (DK) & Franklin Zoo (DK) have performed during the years. ARTILLERY releases video for third single ‘Pain’!